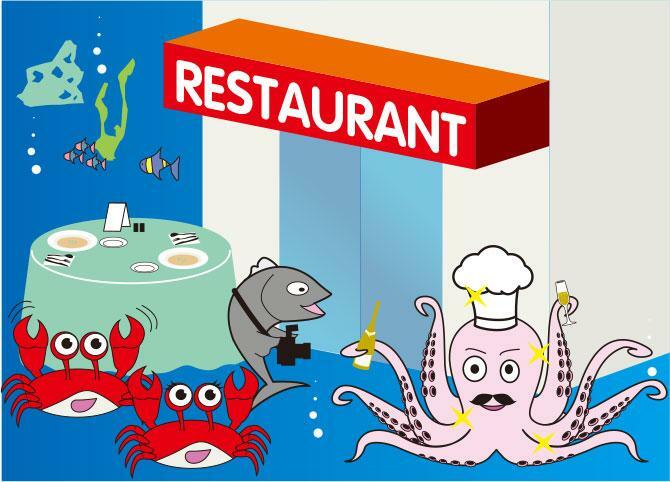 【明報專訊】The octopus couldn't find work as a cook and, not used to having nothing to do, took a job as dishwasher in a canteen. One day, who should pass by but Mrs Crab. She spotted the octopus washing, rinsing, drying and stacking and called out, "Why, if it isn't dear old octopus! What are you doing here?"